Can you guess where the U.S. falls? The World Happiness Report for 2019 is out and, once again, researchers have shown that what makes us happy is a complex and thought-provoking combination of factors. The United Nations-sponsored report from the Sustainable Development Solutions Network has been tracking key indicators of happiness in countries around the globe from the Gallup World Poll since 2005. Their research came together for the first World Happiness Report in 2012, making this the seventh report. To create the list, researchers use survey data from 156 countries on six factors that science has shown to indicate general well-being and happiness: GDP per capita, social support, freedom, generosity, healthy life expectancy and absence of corruption. The latest report came out on March 20, which the United Nations has declared to be the International Day of Happiness. Here are the 30 countries at the top of the list, as well as the five at the bottom. Spain ranks 30th on the list, just ahead of Panama and Brazil. The country has hovered in the 30s on this list for the past few years, and it was ranked 36th in 2018. The Happiness Report’s authors noted that Spain was amongst the countries hardest hit by the 2008 financial crisis. But the economy is rebounding, and Bloomberg noted in January that the country hasn’t had to deal with the protests and trade tensions its neighbors to the north have had. The Spanish also have a long, healthy life expectancy, ranking third on the list in that category. Maybe they’re onto something with those siestas! This Persian Gulf country moved up three places this year. Qatar logged the highest GDP per capita of the countries surveyed, which gave it a boost on the list. But the country also scored high on generosity; nearly 60 percent of respondents reported donating to money to a charity in the past month. Saudi Arabia jumped up five places on the list this year. The kingdom’s increase in happiness factors comes amid turbulent times. Crown Prince Mohammed bin Salman initiated sweeping policy changes in the country in 2018, including giving women the right to drive. But observers note that female activists who had long been pushing for change were jailed as the new policy went into effect — just one example of how critics of the royal family and its rule have paid a price for their activism. Still, Saudi respondents to the survey scored in the middle of the pack globally in the freedom category. Guatemala ranked 30th on the list last year and jumped three places to No. 27 for 2019. Though the country has consistently high rates of both crime and poverty, it also does consistently well on the World Happiness Report. The seeming contradiction prompted Al Jazeera to investigate the phenomenon in 2016; a psychologist told the media organization that faith, family and resilience are key factors in their happiness. Guatemalan respondents scored high in feelings of freedom and social support. The South American country dropped one slot on the report’s list this year. The 2018 World Happiness Report had a special section that explored the unique social supports in Latin American countries; the report added that these social supports might be creating happiness beyond what is captured by the Gallup World Poll. So Chile and other South and Central American countries might deserve higher ranks on this list! Taiwan moved up a single spot on this year’s Happiness Report. Taiwan — which is listed as a “province of China” on the report — is ranked much higher than China itself, which is 93rd this year. China and Taiwan have a complicated relationship. The island is governed independently, but China claims it as a province, and the two have strong economic ties. Taiwan has a much higher GDP per capita, though, and respondents in Taiwan gave higher marks for social support and generosity. France and Mexico traded places from last year’s list: France dropped a spot from 23rd to 24th, and Mexico gained a place. The French reported strong social support and few feelings that corruption is a problem in their country. Their life expectancy is the fifth best on this list. Researchers took some deep dives on certain data sets for the report, and they decided to take a closer look at happiness in Mexico by going back to data from 2013, 2017 and 2018. The small Mediterranean country of Malta, which has fewer than half a million inhabitants, did well in all six categories. But in particular, the Maltese reported high levels of generosity and feelings of freedom. It was 22nd in last year’s report as well. The United Arab Emirates, an Arabian peninsula country comprised of seven emirates, dropped one place on the report this year. The country’s high GDP per capita always gives it a boost (it ranked fourth highest among countries surveyed), but respondents from the UAE also reported strong feelings of freedom to make life choices. The Czech Republic and the UAE traded places in this year’s report, though researchers noted that both had rising scores. The country topped the report for the authors’ Central and Eastern Europe region, which generally had rising numbers. The U.S. of A. dropped a slot in the rankings this year to No. 19. The report notes that happiness in America has dropped over the past 12 years despite the country’s continued economic growth. The authors cited several potential contributors to this decline: “worsening health conditions for much of the population; declining social trust; and declining confidence in government.” But they also dedicated two chapters of the report to unhappiness in the U.S. — one on addiction and the other on digital media. The researchers seem particularly concerned with the mental health of America’s young people, though addictive behavior is a problem for all age groups. Belgium dropped two places in this year’s report, but it still scored well in several categories, including GDP per capita, feeling corruption is not a problem and healthy life expectancy. Germany dropped two places, from 15th to 17th, on this year’s list. Though the country still had a strong GDP per capita compared to other countries on the list, the GDP had weak growth in 2018. Germany scored well in generosity and feeling corruption isn’t a problem for this year’s list. Ireland dropped two places from last year, but the country still has plenty of strong indicators of happiness. It ranks sixth in social support, but lower in freedom. Despite the chaos around Brexit, the United Kingdom moved up four places on the report. And despite the political division caused by Brexit, people in the U.K. reported strong generosity and social support. The one indicator that brought down their overall rank? Feelings of freedom to make their own choices. Luxembourg was ranked No. 17 on last year’s Happiness Report, and it’s a consistent member of the top 20. The tiny European nation ranks second overall in GDP per capita, but people in Luxembourg also reported that they trust their government and have strong social support. Israel is the highest Middle Eastern nation on the Happiness Report, though the country dropped two places from last year. Respondents to surveys in Israel reported much lower feelings of freedom than their counterparts in other countries in the top 20. And there’s good reason for that feeling. People’s ability to move about even within the country is restricted based on the nation’s color-coded ID card system. That’s especially true in the Palestinian Territories, which ranked 110 on the list this year. Costa Rica moved up one place from last year’s list. Incidentally, the country is no stranger to happiness lists — it also tops the Happy Planet Index, which tracks countries’ environmental efforts and residents’ well-being. In overall positive affect, Ticos ranked fourth overall, and they reported high levels of freedom. There’s something to the pura vida, it seems! Australia fell just a single place in the rankings from last year’s report. Aussies did well in healthy life expectancy, reported strong social support and showed they’re a generous country. More than 70 percent of Australians reported donating money to a charity in the past month. Austria moved up from 12th place last year to land in the top 10, with fairly even numbers across the six key categories. Canada fell two places from seventh to ninth on this year’s report, but the country is still eighth overall in life expectancy. Canadians also reported strong feelings of freedom, trust in government and generosity. In fact, more than a third of respondents said they’d volunteered in the past month, and researchers noted that Canada’s unique program that allows individual families to sponsor refugees was just one example of the ways Canadians show their generosity (and build strong social supports) in a way that benefits their own happiness. New Zealand held its rank on the Happiness Report from last year, and while the Canadians do come across as a generous bunch in this research, the Kiwis are no slouches. More than 41 percent who reported said they’d given volunteer time to an organization in the past month, and more than 67 percent had given money to charity. Kiwis also reported strong social support and feelings of freedom, and low feelings of government corruption. In fact, the co-authors of the Happiness Report noted that these characteristics were common for countries that ranked high on the list, giving them an extra dose of resilience. Sweden moved up two slots to seventh place this year, and it’s the first of the Scandinavian countries to top this list. (Of note: One researcher acknowledged that the top eight countries on this list are consistent and quite closely ranked, and that some movement is expected year to year.) Swedes reported high in the freedom category and low in corruption — perhaps they’re happy with the country’s paid maternity and paternity leave policies, which give parents 480 days to share per child. Switzerland dropped a place on the report this year, but the Swiss are still pretty happy, according to the report. Switzerland’s high GDP per capita helps its rank, as does a fourth overall rank in healthy life expectancy. The Netherlands swapped places with Switzerland this year, overtaking them to join the top five with across-the-board high numbers in all six categories researchers examined. Iceland held steady at No. 4 for the second year in a row. The country topped the list in survey responses about social support, and Iceland ranked third in generosity. However, there is a high perception of government corruption in Iceland, which is no surprise in the years following the financial crisis there and more-recent political scandals. Norway fell from second place to third this year but, as we mentioned earlier, the top countries are all closely ranked. Denmark and Norway traded places on the list since last year. Both increased their happiness scores this year, but Denmark’s increased more. (Researchers also noted that the two countries have one more thing in common: they both have free public health care.) Norway has high happiness scores across all six categories. Denmark is second on this year’s list, but the country has been in the top three since the list started. Danes have some of the highest taxes in the world, which pay for health care and education for everyone. Last year, a psychologist who is a native of Denmark sought to explain the country’s consistently high rankings on the Happiness Report with a word that has become familiar to us all: hygge. “Hygge is sometimes translated as ‘cozy,’ but a better definition of hygge is ‘intentional intimacy,’ which can happen when you have safe, balanced and harmonious shared experiences,” she wrote for The Conversation. 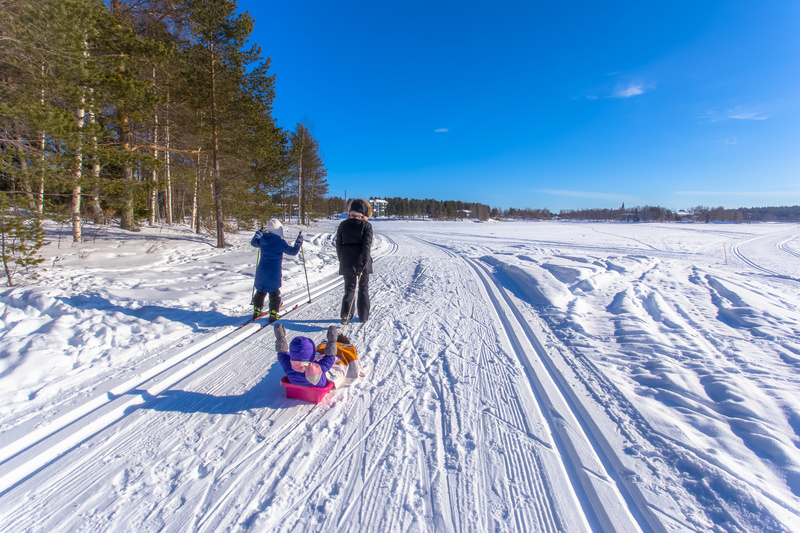 “With its continuing upward trend in average scores, Finland consolidated its hold on first place, ahead of an also-rising Denmark in second place,” the report’s authors wrote in explaining Finland’s second year in a row in the top spot. The country ranked second overall in social support, fourth in lack of corruption and fifth in freedom. The Helsinki Times noted in a news roundup that their second turn in first place had prompted many thinkpieces, that Vice had run a story questioning Finns’ emotional health and that Bloomberg had called the country a “demographic timebomb.” It seems they’re taking the ranking in stride. Rwanda ranked 152 on the list this year, which is down a place from last year’s list. Rwandans reported strong feelings of freedom, but the country’s low GDP per capita and relatively low healthy life expectancy kept it low on the list. In 2014, researchers found life expectancy there had doubled in the 20 years since the Rwandan genocide, and that the country had made much progress. Still, Rwanda was outranked on this year’s list by Yemen, which was 151st. Tanzania ranked 153rd on this year’s list — the same place researchers ranked it last year. The Dar es Salaam-based newspaper The Citizen reported that their rank on the report below Somalia (112), Syria (149) and Congo (103) sparked outrage on social media, though some people weighed in to agree with the report’s findings. Afghanistan ranked 154th on the list this year, a drop from 145th in the 2018 report. The country’s numbers in the six categories are low across the board, but their feelings of freedom fared the second-worst out of any country on the report. For social support, the country ranked fifth-worst. The Central African Republic was second to last on the list, at No. 155 out of 156. The country, which has been plagued by sectarian violence for decades, ranks low on many of the six factors, but in particular social support, healthy life expectancy and GDP per capita. The youngest country in the world is also the least happy one. South Sudan was born out of conflict, and the conflict there has not ended. 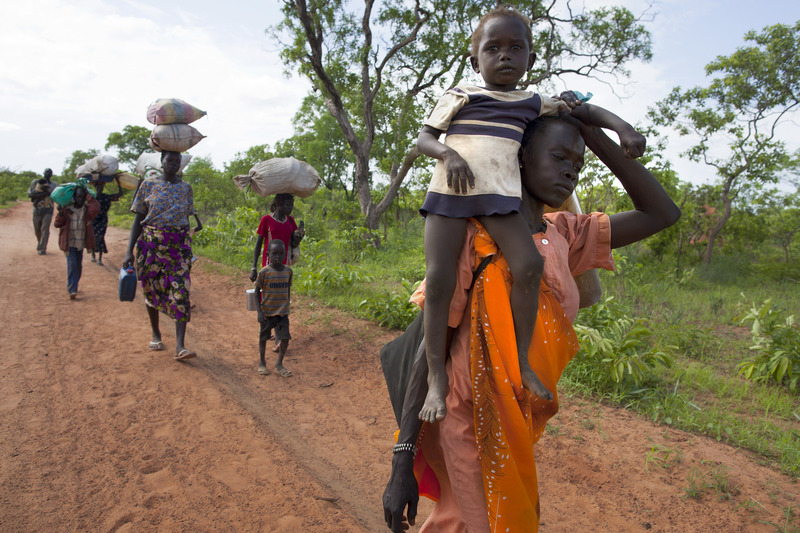 The U.N. estimated that 60 percent of people in South Sudan experience food insecurity. The country ranked low in all scores, especially freedom.